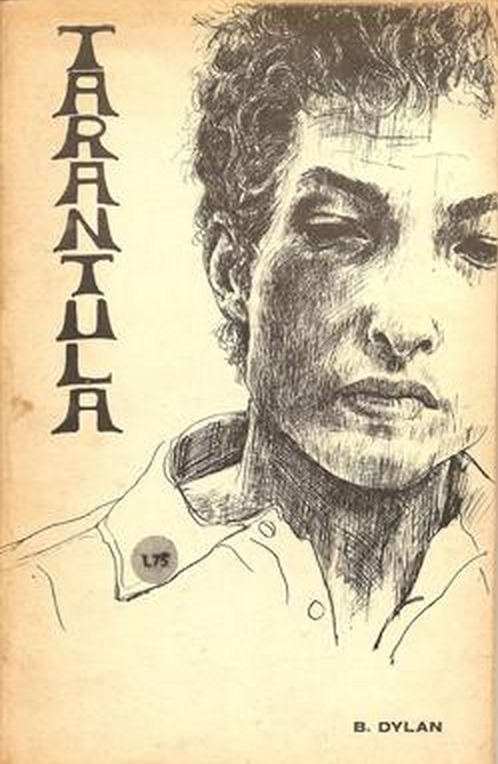 You can buy Bob Dylan’s “novel”, Tarantula, on AbeBooks for $1.10 (plus shipping). You can also buy it on AbeBooks for $9,500. The latter copy is the first hardback edition from 1971, and it is signed to John Carter, a music industry A&R man. The book is probably worth something that falls in between those two prices. Dylan memorabilia can be ridiculously expensive. AbeBooks has signed copies as “inexpensively” as $700. Signed copies hold no lustre for me at all, unless I was the person to get it signed, so this is not something that I’d ever think of shelling out for (I would also be extremely wary about forgeries with someone like Dylan – not that I am accusing any of the dealers on AbeBooks, but it is something that I would always worry about). Interestingly, not all of the most expensive copies on AbeBooks are signed editions – many of them are bootleg editions. 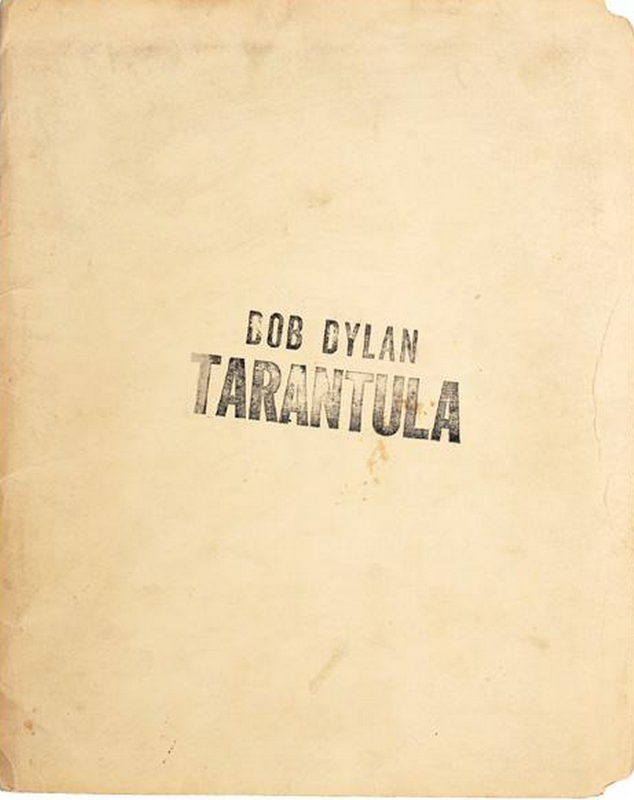 Dylan wrote Tarantula in the mid-1960s – the book has all the hallmarks of his speedy writing from that period and is in line with his lyrics from the Highway 61 era, as well as the liner notes from those albums. He published it only reluctantly, and possibly only because he had been paid a large advance. It was endlessly delayed, and he felt a need to go back and improve it. Because it had gotten to the page proof stage, bootlegs (early Xeroxes, re-typed versions) circulated for years before it actually was released. Some of these are extremely costly (with the obvious note that just because a price is asked for a book there is no guarantee that anyone will actually buy it for that price). The most expensive Tarantula bootleg on AbeBooks today is $1,250. This is an edition published in Madison, WI. The notes on a $700 copy of the same edition says that the money made from selling these went to support local writers (which is, come to think of it, true of almost any book published by anyone). For $686.08 (an odd number – a conversion from British pounds) you can get a pirated edition in a file folder. This one is only 36 loose leaf pages, so it is not entirely clear to me that it would be the whole book, but possibly. Another interesting one (same price – $686.08) is the AJ Weberman produced edition with covers by underground cartoonist S. Clay Wilson. This is the edition, if I was going to have one, I would most want, because of the Wilson cover. 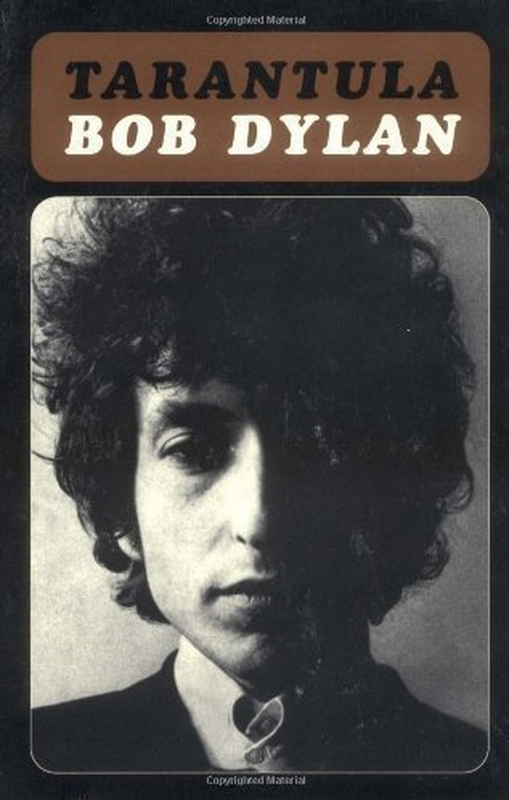 For $400 you can get a tabloid edition of Vancouver’s still extant newspaper, The Georgia Strait, which gave over an entire issue to printing Dylan’s prose. That would be a nice, rare one. $279.06 gets you the UK rip off from Wriptoff Press. For $200 the edition from The Wimp Press in Hibbing, MN who gave their proceeds to the Caladan Free School, whatever that was. The French edition (presumably licensed, published in 1973) is $70.03, and notes that it has been “adapted from the American”. Such a curious book for a book that was so little loved and admired. I’ve bought two copies in my life – one that arrived a few weeks ago from Amazon.ca (for about $11.00, if I recall correctly) and one (possibly the 1977 paperback edition?) that I bought from City Lights Books in London, Ontario when I was doing my undergraduate degree at the University of Western Ontario. City Lights was a classically, stereotypically jam-packed used bookstore near where I lived off campus (and across from the rep cinema, so I was there all the time) owned by Marc Emery, who is now best known as an imprisoned pot legalization crusader. He was a libertarian rabble-rouser at the time that I knew him. 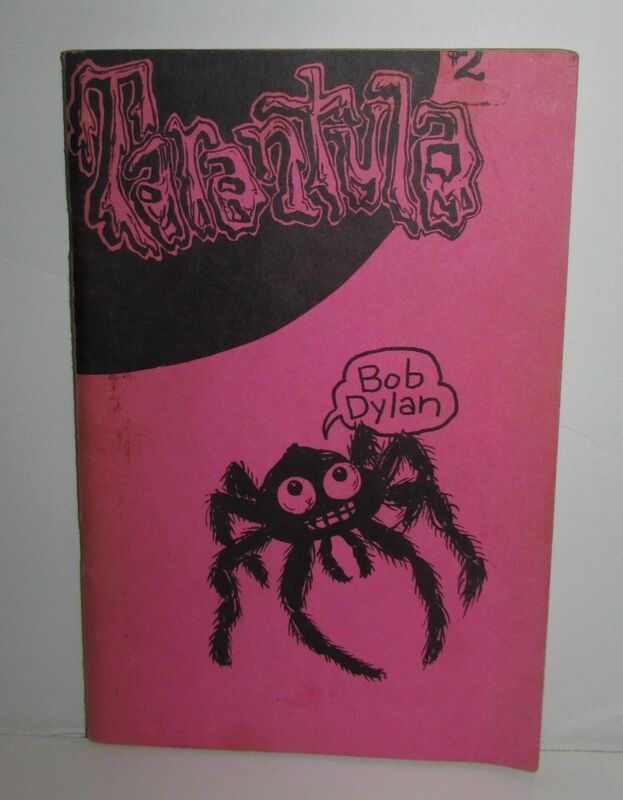 That copy of Tarantula sat on a shelf for a few years before I actually bought it. I don’t think I ever made it all the way through that copy (I sold it when I sold almost all of my old books before we moved from Montreal). I’ve been struggling all week to get through it now. I promised a friend that I would read and write about Tarantula, but it’s going to take a few more days. I will get this thing swallowed all the way down, even if it kills me. Until then, enjoy browsing for bootleg copies.